South Africa's AngloGold Ashanti (JSE:ANG) (NYSE:AU), the world's third-biggest producer of the precious metal, has swung to a profit just ahead of the company’s change of leadership. 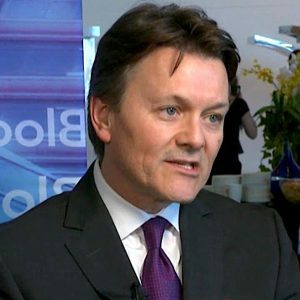 Kelvin Dushnisky, who is leaving Barrick Gold at the end of August to become AngloGold’s new chief executive officer, will find the company in “good shape”, outgoing boss Srinivasan Venkatakrishnan said Monday. Turnaround was mainly the product of increased output, reduced net debt and lower-than-expected restructuring costs. The company, Africa's top gold producer, posted earnings of $99 million for January-June, in line with what it had flagged to the market earlier this month, compared with a loss for the same period last year of $89 million. Since then, the gold producer has had to sell some of its South African mines to stem losses in the country, where aging infrastructure, reserve depletion and accidents have raised costs and curbed output. The turnaround in performance, said AngloGold, was the product of increased output, reduced net debt and lower-than-expected restructuring costs, which may include cutting thousands of jobs at its domestic operations. The firm’s mines in South Africa now account for only 13% of total output. The miner also attributed the improved results to the absence of one-off, non-cash settlement costs for silicosis class action claims. Output from AngloGold’s mines in the rest of Africa is expected to rise to more than 50% of the total as production ramps up at the Siguiri mine in Guinea and Kibali in the Democratic Republic of Congo and as its idled Obuasi mine in Ghana restarts next year. As a result, full-year production will be at the top end of the forecast range — between 3.3 million and 3.5 million ounces of gold — while costs are likely to be at the bottom of the $990 to $1,060 an ounce estimated earlier this year, AngloGold said. While AngloGold is now in a much better shape than a year ago, Dushnisky's first months at the helm won’t be exempt of challenges. AngloGold and its partner on the Kibali mine, Randgold Resources (JSE:RNG)(LON:RRS), are calling on Congo President Joseph Kabila to revise the recently approved mining code. The new law raised taxes and removed a stability clause in the previous law protecting miners from changes to the fiscal and customs regime for 10 years. Venkatakrishnan revealed the company may pursue international arbitration if its demands are not heard. AngloGold has already filed for arbitration in a row with the Tanzanian government and may rethink development of its Sadiola mine in Mali if authorities don’t agree to fiscal agreements and approvals.